Older concrete walkways, patios, and pool decks are often good candidates for concrete resurfacing projects. 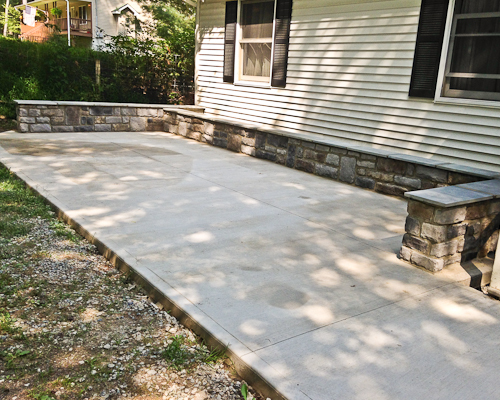 This type of project can completely renew the look and style of your existing concrete without the cost of completely replacing it. 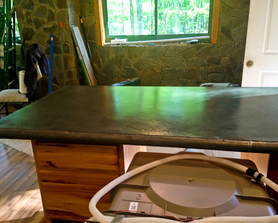 Concrete countertops have endless possibilities. Each installation is customized to fit your home and created with an artistic flare. 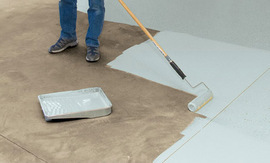 Cleaning is a breeze with specialized concrete sealers. Check out our Rustic Kitchens or Rustic Bathrooms pages for great ideas! 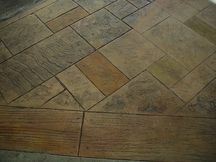 Stamped concrete is a wonderful patio idea alone or coupled with concrete stains. Depending on the concrete stamp used, home owners can choose to have us stamp all the concrete or create decorative edging/areas. 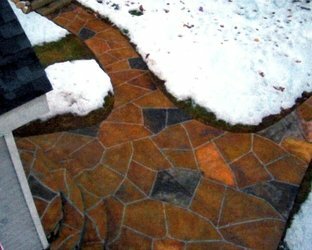 This option allows for home owners to maximize the look of their concrete while taking into consideration their budget concerns. Retaining walls are an economical and low maintenance investment in curb appeal. They can be built with concrete block, poured concrete, or stone. The masonary material chosen should be complementary to the general home's aesthetic qualities and existing landscaping. 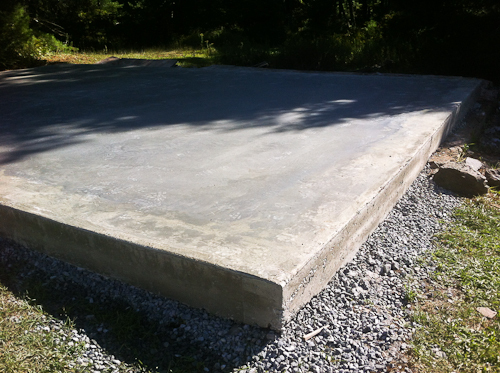 We see a lot of very poorly installed concrete in the Poconos. Well placed, durable, beautiful, concrete that resists cracking is not accidental. As a home owner be aware that concrete should not be a fast installation. 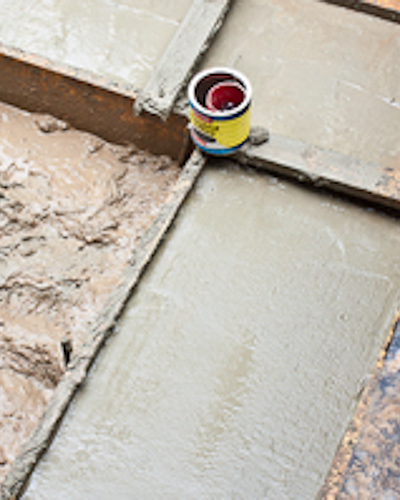 To get the most out of your investment know that the project site needs to be PROPERLY prepared and the installation needs to be done by professionals with a long proven background in concrete. Patios, shed pads, garage slabs, and concrete foundations take time and care to return the most on your home improvement investment. The world is your oyster with concrete! Starting with your home's concrete footings, this environmentally friendly, historically rich, and sustainable product can be custom installed like no other building product can while also providing a low cost solution for driveways, floors, steps, countertops, yards, curbing, ornaments, retaining walls, gardens and much more. ​Existing concrete has wonderful new options with concrete resurfacing products such as epoxy coatings which can make even old garage floors look like a million bucks. Concrete is known as 'liquid rock'. With concrete forms we can literally form it into ANYTHING. Concrete Paint or Concrete Stain? 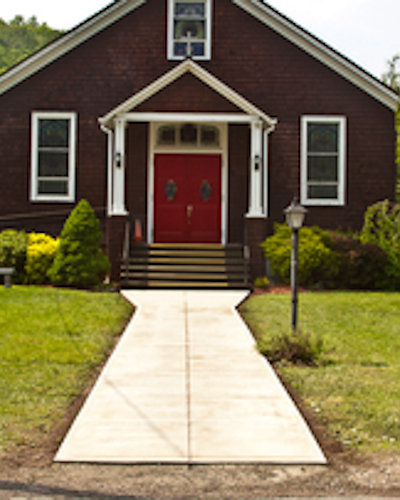 20 Tips to help you decide between concrete paint and concrete stain.